Looking for air conditioning repair in LBI? Air Technical Services Heating and Cooling has been providing reliable AC, heating and plumbing servicing, installation, repair and maintenance for homes and businesses throughout Long Beach Island and Barnegat, NJ since 1999. 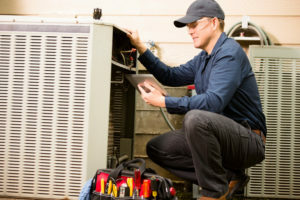 At Air Tech, our NATE-certified HVAC technicians have the superior technical skills, experience and knowledge to properly diagnose and repair any AC problem, no matter the make or model. And since we’ve repaired many systems in LBI, we’ve earned a reputation for doing the job right, the first time. We offer you peace of mind, ensuring your air conditioning unit operates safely and efficiently all season long. Count on us to provide you with a reliable air conditioning repair that fits your unique needs. Need Air Conditioning Repair Now? Our fully-stocked trucks are just around the corner, ready to repair most makes and models. This means you can have your LBI home or business’ air conditioning repaired TODAY. Day or night. Holidays or weekends. We offer 24/7 emergency service with competitive, flat-rate pricing and warranty-backed repairs. 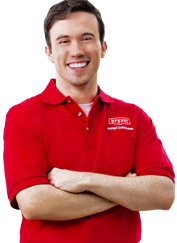 When you need quality air conditioning repair at a fair price, call Air Technical Services. We are the air conditioning repair company LBI residents have trusted since 1999. Whether you’re a homeowner or business owner, chances are you’ve had some questions about repairing your air conditioning system. It can be frustrating to know where to turn for reliable answers. That’s why our team of air conditioning repair experts in LBI have put together a handy list of common questions and answers below. I have an old air conditioner that still uses R-22, is the refrigerant really being banned? Yes, according to the E.P.A. R-22 has been deemed hazardous to the ozone and have already restricted the manufacturing of the refrigerant. If you have a system that uses R-22, expect higher than normal air conditioning repair costs as the E.P.A is encouraging everyone to upgrade to the newer, high-efficiency R-410A refrigerant by raising the costs. R-410A will be better in a lot of ways, not only is it environmentally-friendly, it is more efficient, saving you 50% off your energy bills. Replacing air filters can help to extend the lifespan of your unit and reduce the number of repairs you need. Not sure how often to change them? Every home is different. Many manufacturers suggest to replace filters monthly, but depending on the season and the occupants sensitivities to allergens, it could be more often. How do I know if my air conditioner needs repair or replacement? Determining whether to repair or replace can depend on a number of factors: the age of the AC unit that you currently have, what kind of refrigerant it uses and how often you find yourself facing repairs. Our technicians can walk you through all the pros and cons so you can make the best decision for your home or business environment.